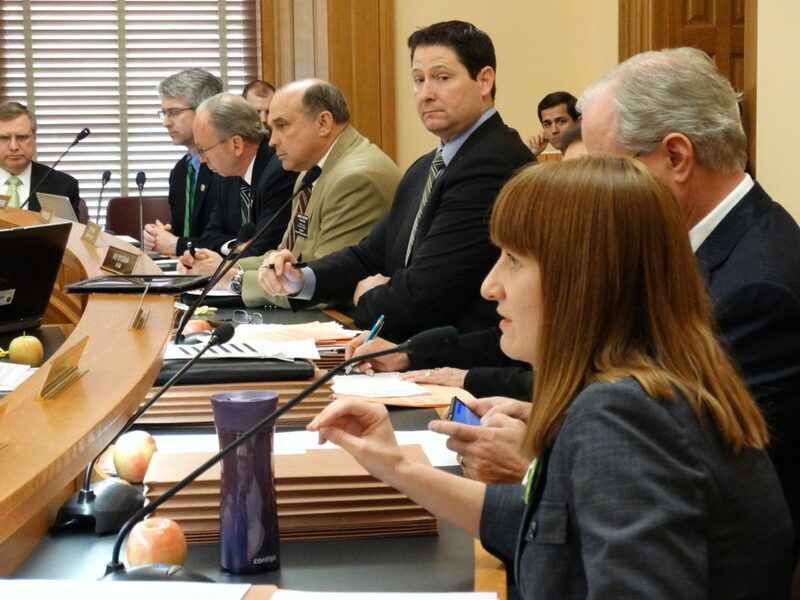 Rep. Amanda Grosserode, R-Lenexa, argues against a bill aimed at complying with a Kansas Supreme Court decision, saying she thinks the court doesn't understand school finance. Topeka ? 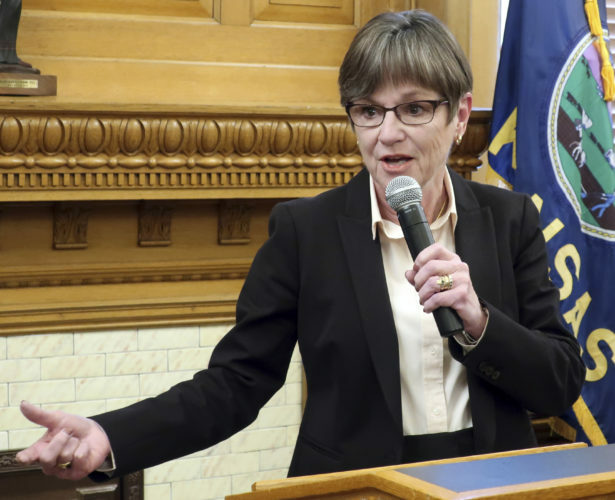 A Kansas House committee declined to take a vote Thursday on a school finance bill aimed at addressing a state Supreme Court ruling after nearly every Republican on the panel said they would vote against it. Rep. Ron Ryckman Jr., R-Olathe, who chairs the House Appropriations Committee, said he plans to start over from scratch next week, the final week of the 2016 regular session, with hearings to come up with a new plan. Moments later, a Senate committee advanced its own version of a similar bill, which would address the Supreme Court’s ruling about tax equity, but would also take away overall spending authority from every school district in Kansas next year, including nearly $825,000 from the Lawrence school district. Both bills would restore funding under old formulas that lawmakers repealed last year for calculating so-called “equalization” aid for school districts, money intended to make sure property owners in poor districts don’t have to pay higher taxes than those in wealthier districts to generate the same amount of revenue. 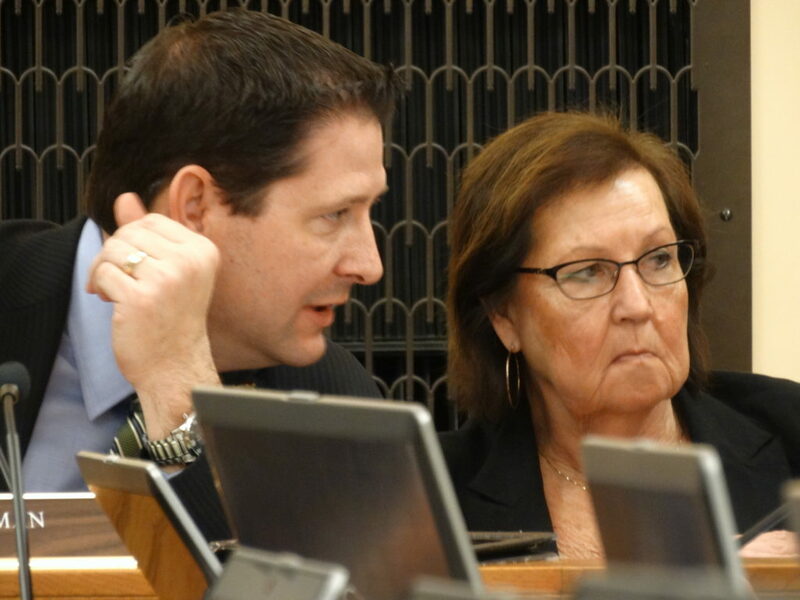 House Appropriations Committee Chairman Ron Ryckman, Jr., and vice chair Sharon Schwartz confer during debate on a school finance bill aimed at complying with a recent Kansas Supreme Court ruling. That would cost the state about $38 million, money that would go toward property tax relief in districts such as Lawrence, which the Supreme Court said are now being over-taxed because of changes in the school finance system that lawmakers enacted last year. The issue is being prompted by a ruling in February in which the Supreme Court threatened to shut down the state’s public school system on July 1, the first day of the next fiscal year, if lawmakers do not solve the unconstitutional tax inequities. In the House committee, though, Republicans lashed out at the court for its decision and its threat to close schools over a matter of less than $40 million out of a $4 billion education budget. The court’s ruling in February was just one in a long line of decisions by supreme courts in a majority of states, all of which have state constitutional provisions that make public education a state responsibility. In state after state, those courts have ruled that because it’s a constitutional requirement, legislatures must fund education adequately so schools can afford to provide all the services expected of them. Courts have also said funding for those schools must be equitable so children are not denied access to a quality education simply by virtue of where they live. In Kansas, the court has also ruled taxes levied to fund the schools must be equitable so taxpayers in lower-wealth districts do not have to pay higher property tax rates to achieve the same level of funding that wealthier districts can generate. 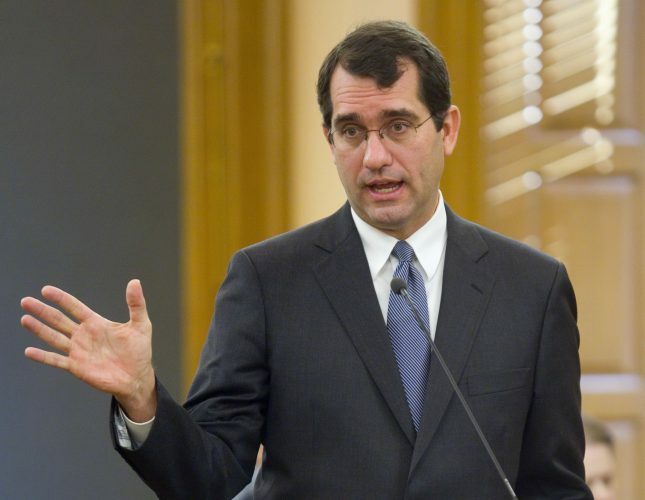 In response to an earlier lawsuit, Kansas lawmakers adopted a new funding system in 1992 through which the state took over primary responsibility for levying taxes and funding schools, functions that were largely controlled by local districts before. That system was based on a uniform statewide property tax levy and uniform per-pupil funding for each district, with additional consideration for districts with special conditions such as low population density, high poverty rates or large numbers of non-English speaking families. That was the formula lawmakers repealed last year, replacing it for two years with a block grant system while lawmakers tried to develop a new funding formula. The lawsuit still pending at the Supreme Court, Gannon vs. Kansas, involves both the adequacy of state funding and the equity of property tax levies. The court’s decision in February dealt only with the equity portion, saying changes the Legislature made last year were unconstitutional. Oral arguments in the adequacy portion, in which the plaintiff school districts are seeking upwards of $500 million a year in additional funding, are expected to be held later this spring, with a ruling to come later in the year. At Thursday’s House committee meeting, Rep. Mark Hutton, R-Wichita, noted that during a hearing on the bill, none of the plaintiff school districts involved in the current lawsuit, including the Wichita district, came to testify. 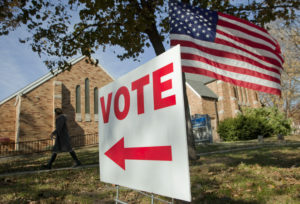 Democrats on the panel, however, defended the court’s decision and said Republicans were wrong to blame the court or the plaintiff districts. 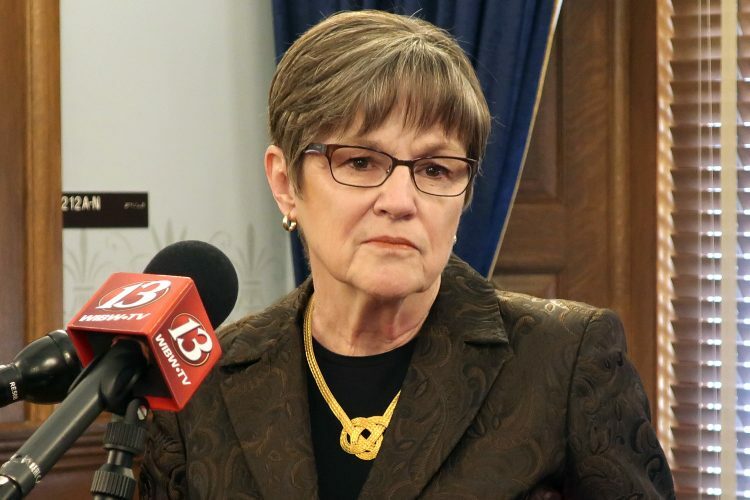 Rep. Barbara Ballard, D-Lawrence, said she had received phone calls and emails from across the state on the issue, most from individuals and school officials who opposed what the Legislature had done. Rep. Jerry Henry, of Atchison, the ranking Democrat on the panel, said while Republicans have been criticizing the Supreme Court and the old funding formula, they have done little to develop a new formula, which was the intention last year when they repealed the old one. 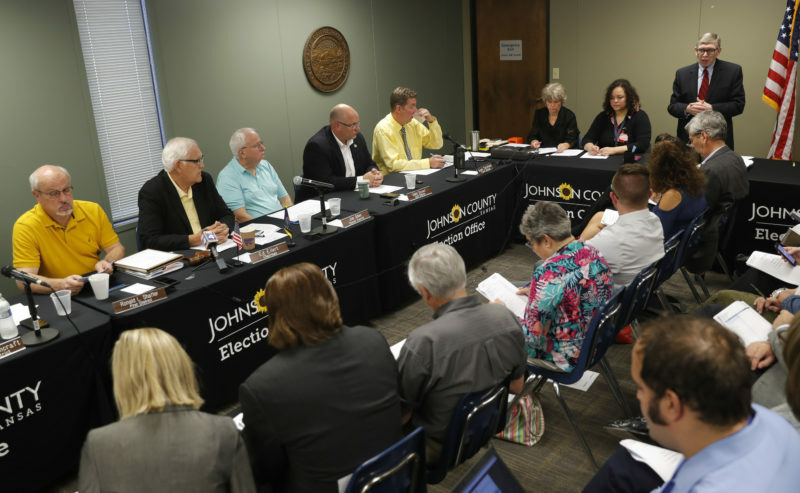 Ryckman responded, saying Rep. Ron Highland, R-Wamego, had chaired a special joint committee over the interim that held hearings about school finance issues, but the focus on that work was interrupted by the court’s decision in February. Lawmakers are scheduled to adjourn next Friday, March 25. They will return in late April for a wrap-up session. Those sessions typically focus on receiving updated revenue estimates that are released in mid-April, making any needed adjustments to the state budget, and acting on any bills vetoed by the governor.